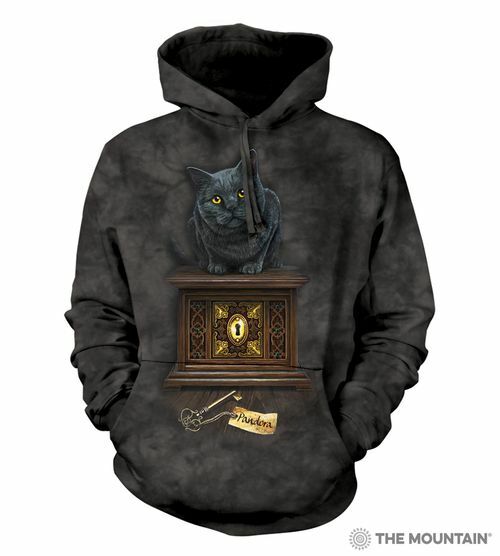 Pandora's Box Hoodie is a hooded sweatshirt by The Mountain® featuring the artwork of Lisa Parker. This black cat hoodie is a pull over sweatshirt with a jersey-lined hood and front hands pocket. 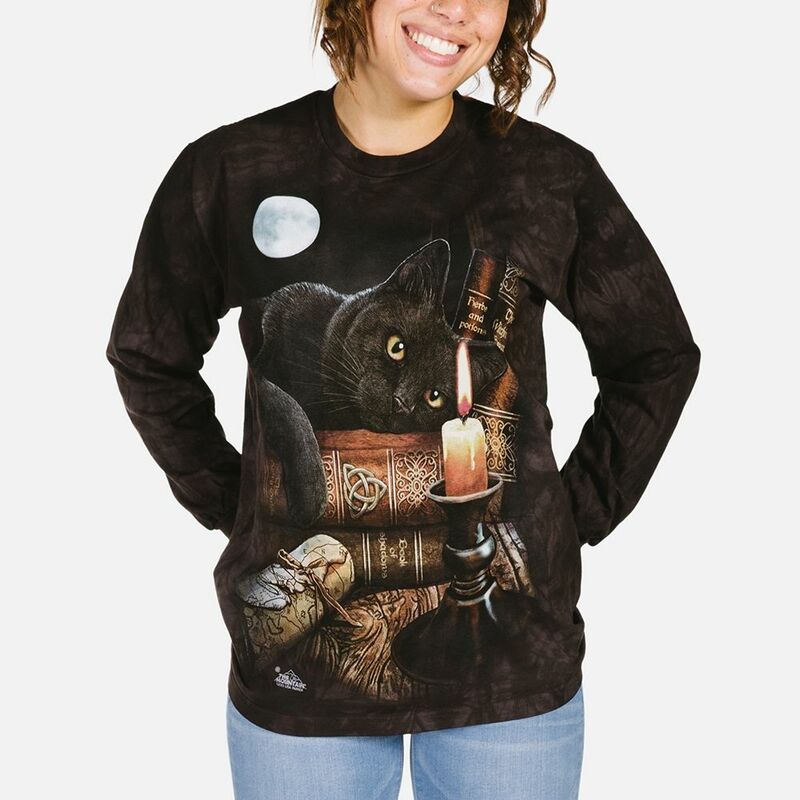 The fantasy design is a black cat sitting on an intricate wooden box and with a key that says "Pandora". Check out our collection of all hoodies from The Mountain®.